Former and current council housing tenants are being asked to share their memories and experiences as part of a commemorative event marking 100 years of council homes. July 2019 marks the centenary of the Housing, Town Planning Act, - known as the Addison Act after its author, then Minister for Health Dr Christopher Addison. 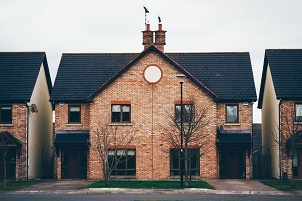 The legislation meant local councils for the first time, funded by the Government, were given a central role to play in providing affordable housing, constructed to high quality standards and available to all according to need. It paved the way for the national construction of council housing on a large scale. Tendring District Council (TDC) has a number of properties which date back to the Act, and in total has more than 3,000 council homes on its books – as well as plans to build and acquire more in the coming year. To help TDC mark the centenary of council housing, the authority is appealing for people’s memories and experiences of council housing, including any photos. A number of commemorative activities are being planned, and any stories or images received will be used as part of these events. Paul Honeywood, TDC Cabinet Member for Housing, said he was looking forward to seeing what people sent in. “There is a rich history of council housing right across the country, and Tendring is no exception,” Councillor Honeywood said. “It plays such an important role in supporting our residents by providing quality and secure housing to those who would otherwise face living in unacceptable conditions.